Journeys under the sea. Walks in a quiet village. Thrills in a diamond mind. Nibbles in the West Wing. 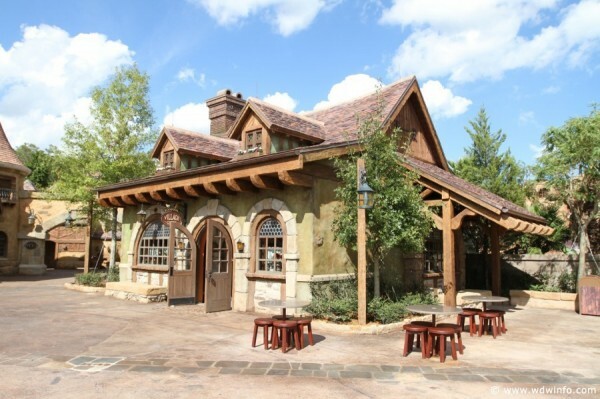 All of these experiences can be had in the new Fantasyland at Walt Disney World. 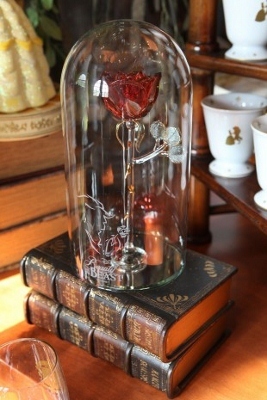 With so many characters to meet and places to explore, time passes as the petals fall from the rose in Beast’s castle. 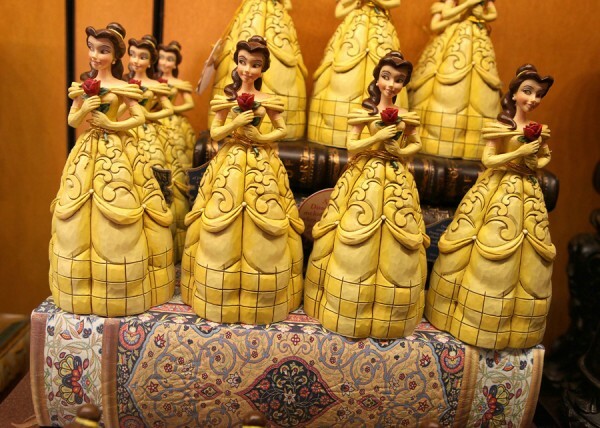 However, one activity is sure not to be missed: perusing the new trinkets, knick knacks, and baubles found in the unique shops of the Enchanted Forest and Storybook Circus. 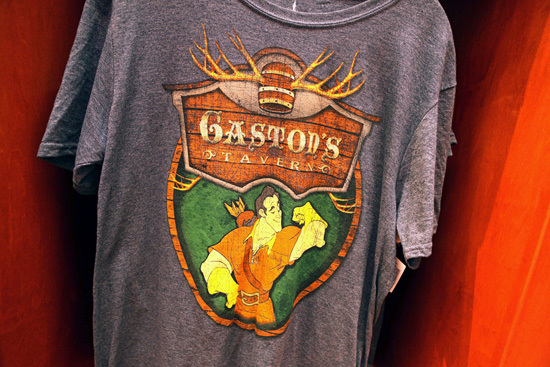 Image: New merchandise in Fantasyland will feature favorite sayings and motifs from classic Disney films. The new areas of Fantasyland, appropriately titled the “Enchanted Forest” and “Storybook Circus,” were revealed to park goers earlier this month amidst pomp and circumstance celebrated by celebrities, company executives, and Disney enthusiasts from around the world. Understandably so, the media has spent a great deal of time focusing on the many attractions and eateries in the areas, but not so much on the merchandising that accents them. 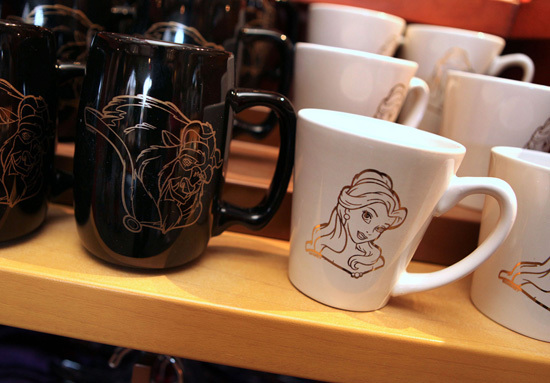 As discussed in the past, Disney merchandise has been showing prevalent signs of a rebirth – one that has inspired hope in guests seeking specialty items to commemorate their vacations, celebrations, and fond memories. With the opening of the Enchanted Forest and Storybook Circus areas, the world of Disneyana will find new items on display that are bound to impress. Nestled in Belle’s quaint village, Bonjour! Village Gifts is a rustic little shop in the Enchanted Forest. 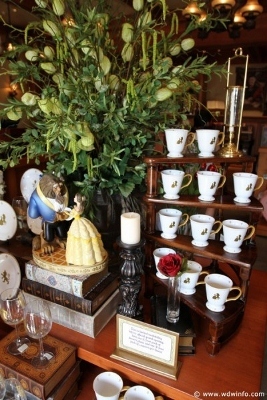 Here, guests find themselves surrounded by trinkets from the classic, Beauty & the Beast. 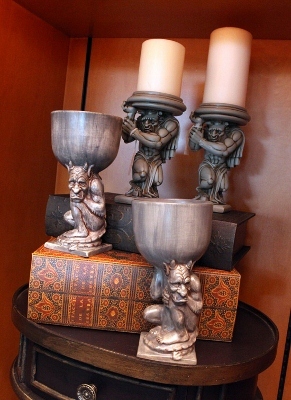 Everything from gargoyle goblets to golden dinner plates to themed attire can be found at the shop. Images: Trinkets in the shop are speckled with gold accents. Many of the commonly found items in Bonjour! 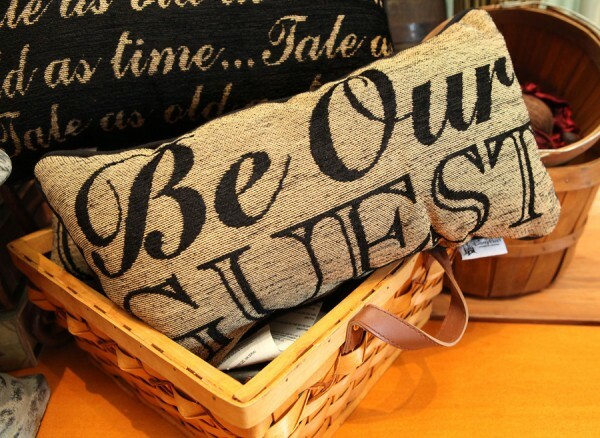 Village Gifts are a part of their dining collection. 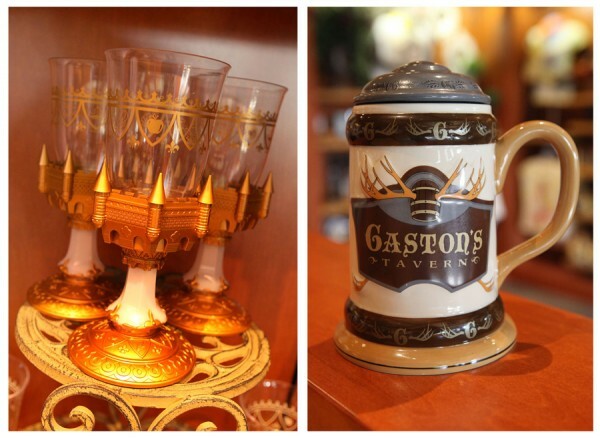 Stoneware, goblets, towels, and more are available to those looking to add a bit of Beast’s castle to their kitchens. 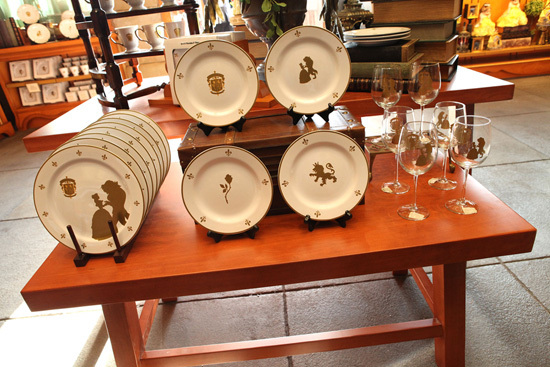 Images: Simple yet elegant dining accessories are available at the shop. 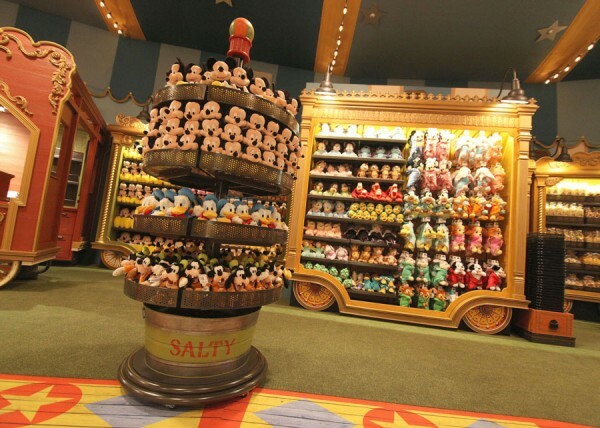 The merchandise can be found elegantly or heavily themed depending upon how much of the “cartoonish” effect one is interested in displaying. 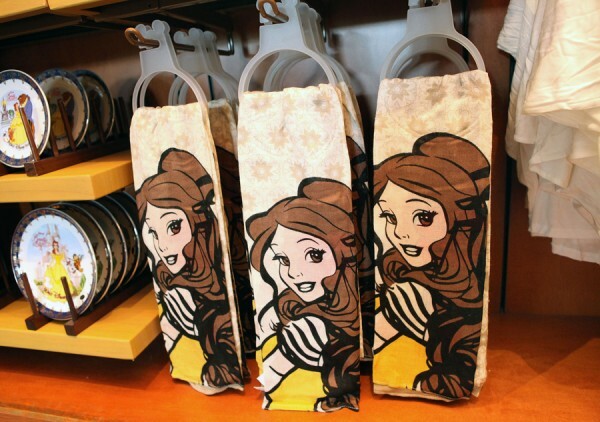 Unlike the items above, Belle is a prominent figure on the dish towels and porcelain plates below. For those looking for less of this effect, merchandise featuring the golden emblem might be more desirable. 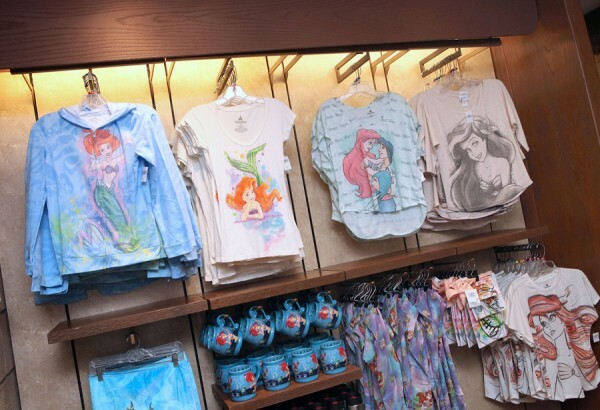 Along with dining accessories, guests can also find themed clothing in the shop. T-shirts, hoodies, jewelry, and more are available. All have a connection to the Beauty & the Beast film. Likewise, pillows, figurines, and pins are sold. 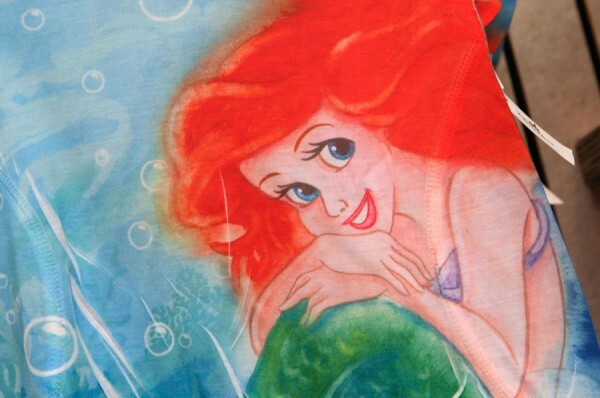 Similar to those found in Belle’s village, clothing themed to Under the Sea includes T-shirts, hoodies, and scarves. Mugs and a few other unique items are also sold here. Image: By far, the most unique item found as of right now: Ariel’s “dinglehopper” from the movie. Before taking a spin on Dumbo (or just watching our favorite baby elephant fly), guests can find bright, colorful baubles under the big top in Storybook Circus. 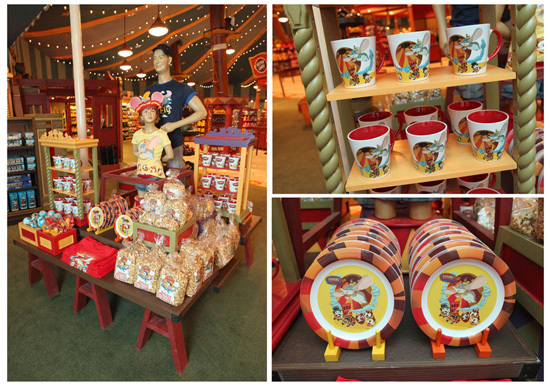 Big Top Souvenirs features everything from embroidered hats to treats like caramel apples, cotton candy, and more. 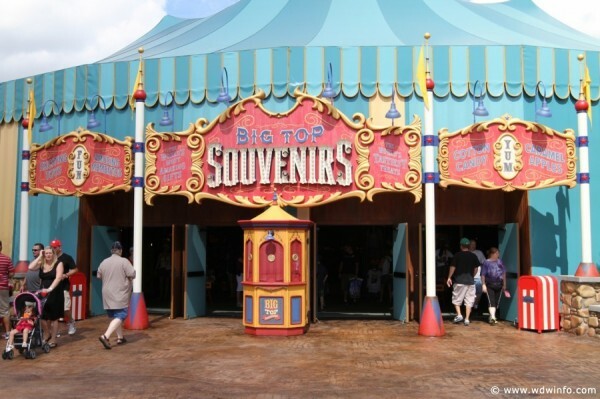 Image: Big Top Souvenirs is found in the Storybook Circus area of the new Fantasyland. 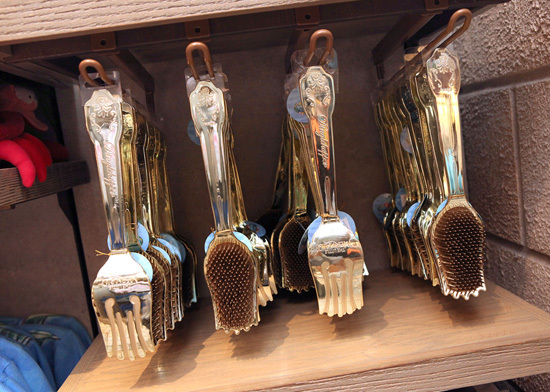 Items commemorating one’s visit to the new Fantasyland can be found throughout the area. 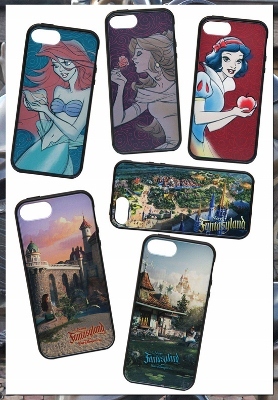 These include a collection of iPhone cases and collector pins. 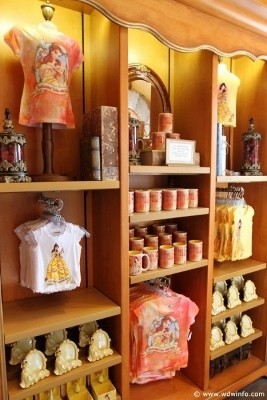 All of the merchandise is detailed and highlights some of the new icons found in both Enchanted Forest and Storybook Circus. 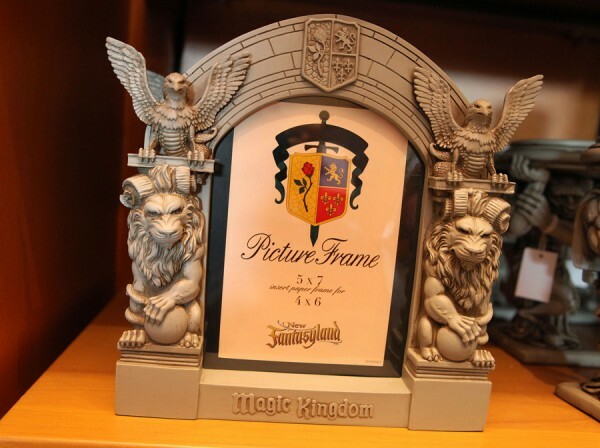 Images: iPhone cases, pins, and more serve as reminders of your recent visit to Fantasyland. The new merchandise ranges in price from $3.95 for cotton candy at Big Top to $23 for a shirt at Sir Mickey’s to those that are more expensive. 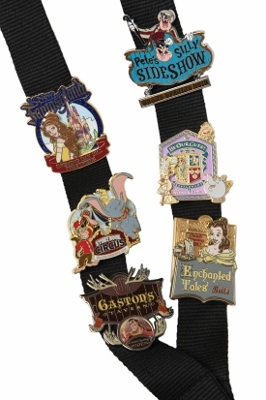 No matter what your style or budget, the new merchandise found in Fantasyland is sure to help you celebrate the expansion and all it has to offer. Now, get going! I’ll see you and your chosen treasures at the register! Which Disney Park to Visit on Christmas Day? Strange Sightings, Loud Noises, & Flames: Dragons in the New Fantasyland?